Closed-system farming of catfish in the US is one of the most sustainable seafood options currently available on the market. Strict management plans are in place to mitigate the environmental impacts of this industry. Imported ‘basa’ or ‘swai’ are often marketed as Catfish but should be avoided as they are unsustainable. Channel catfish are native to Southeastern USA but have been introduced to rivers and lakes nationwide as a sport fish. Channel catfish easily adapt to their surroundings and their wild populations are thriving. There is some concern about competition for food and space with other wild fish in areas where the channel catfish species has been introduced. 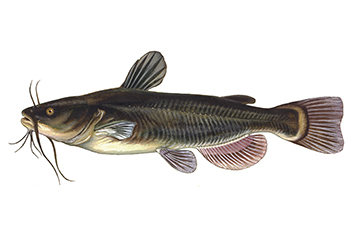 The commercial harvest of wild catfish is very small; however, channel catfish are a major aquaculture species in the US. Catfish are raised in inland ponds, with Best Management Practices (BMPs) in place to mitigate environmental impacts. Disease transfer and escapees are not a major concern in closed-containment aquaculture systems. Waterways where Catfish are raised are generally unaffected by closed–containment facilities. Heavy rainfall can lead to overflowing ponds, which may subsequently pollute nearby waterways. Recirculating aquaculture systems (RAS) are similar for various farmed species. This recommendation applies to all species grown in RAS except for those where a separate species-specific RAS recommendation is available. Closed containment has recently emerged in the farming industry as an alternative to net pens in order to reduce the environmental impacts of an aquaculture system that is open to the environment. Source of stock is domesticated broodstock for the vast majority of RAS farms. Therefore wild populations are not depleted to source the aquaculture operations. Impacts of feed use vary amongst RAS farms and the species being cultured. The contained nature of RAS allows for close control and prevention of potential disease or parasite outbreaks. Risk of pathogens and their transfer to wild populations is low. Predator and wildlife mortalities are virtually eliminated when RAS systems are located indoors, and risk of escapes is low as the systems are not in direct contact with natural water bodies. About 90-99% of water is typically recirculated after filtration and waste treatment. As such, little to no effluent is discharged to the environment and there is the opportunity to treat waste before discharge. The closed design of RAS and the application of biosecurity protocols reduce the risk of disease and parasites, and consequently require low use of chemicals. When chemicals are used, they cannot flow into the environment directly, and have the opportunity to be treated and sterilized before discharge. RAS farms are typically not built in sensitive habitats, and the closed system of the farms minimizes ecosystem impacts. In 2012 Seafood Watch completed a comprehensive study of different eco-certification programs to determine if any would be equivalent to their sustainability standards. As a result of this study this aquaculture eco-certification were determined to be equivalent to an Ocean Wise recommendation. Learn more about our recommendation policy here. Channel catfish are native to the US and were introduced to China in 1978. In 2008, the US imported 23.1 million pounds of channel catfish from China. Channel catfish are grown both in ponds and net pens in China. An issue of concern is the waste water created by the numerous net pens located in reservoirs, and the impact of this discharge on the environment. Chemicals are another serious issue, as numerous disinfectants, pesticides, and antibiotics are used, leading to regular refused admissions of Chinese channel catfish products by the US Food and Drug Administration due to the presence of veterinary drug residues and unsafe food additives. Farmed channel catfish can escape to the environment and become established, therefore competing with native populations for food and habitat. Vietnam produces over one million metric tons of pangasius each year. In the 1990’s, pangasius was produced at a small scale in ponds. Currently, the industry has shifted to intensive farming in large, deep ponds stocked at extremely high densities. Pangasius are one of the most important export items of Vietnam, reaching 145 countries including European countries and the US. 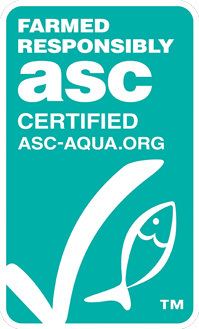 About 20% of all pangasius produced in Vietnam is ASC-certified. This species profile covers the non-ASC pangasius. Pangasius are tolerant to crowded conditions and are able to survive at what the UN Food and Agriculture Organization (FAO) defines as “hyper-intensive animal production”. However, as pangasius are reared at very high densities, risk of pathogen and parasite amplification is high. Since water is discharged daily, and high densities of farms occur together, the spread of pathogens between farms is facilitated. Pangasius ponds release pond water to the environment daily, as well as concentrated pond sludge. The pond water does not significantly affect habitat, but the pond sludge is of high concern. The sludge is often illegally dumped directly into natural water bodies such as rivers or canals. Although there are zoning requirements and permits needed to establish farms, these regulations are not always followed, and areas with high densities of farms have been established. Use of chemicals such as antibiotics that are critical and highly important to human health, pesticides, and disinfectants is high in Vietnam. Pangasius exports to Europe from Vietnam were rejected on 17 occasions in 2014 due to banned antibiotic residue. The cumulative effect of multiple farms exacerbates the effects of sludge dumping and chemical use on the environment. Of critical concern for human health is the presence of critically-important and highly-important antibiotics being discharged to the Mekong River from pangasius farms. Resistance to multiple antibiotics has been observed on pangasius farms.